The eighth annual Suffolk Adult Learners’ Awards has taken place at the University of Suffolk. Suffolk groups and individuals were recognised for their hard work and outstanding achievements over the past year. The Awards, hosted by BBC Radio Suffolk presenter Wayne Bavin saw Terrie Cornwell-Dunnett crowned the ‘winner of winners’ and Yannick Limer from West Suffolk College recognised as providing ‘Outstanding Services to Adult Education and Training in Suffolk’. The Awards were organised by the University of Suffolk, the Suffolk Adult Learning Federation (SALF) and Suffolk County Council. Adnams were the award ceremony drink sponsor. 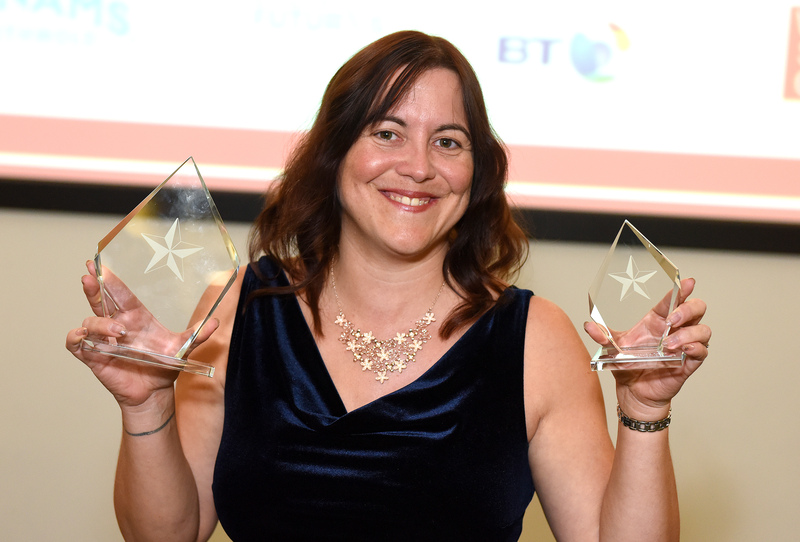 Terrie Cornwell-Dunnett from Shottisham was awarded ‘Inspirational Learner of the Year’ and then chosen by the panel in the final award of the evening being named the ‘Outstanding Learning of the Year’. Terrie is currently studying at the University of Suffolk part time on the Special Educational Needs and Disability Studies degree as well as working part time in the University’s External Relations Department. As well as the Suffolk Adult Learners’ Awards, Terrie was selected in June this year as the winner of the Festival of Learning Patron’s Award for her exceptional achievement in adult learning. Winners received a trophy, certificate and book tokens.